I started my Karate training in 1992 training in Cho Wa Do Karate in Westport achieving 3rd kyu within a year. In 1999, I started Goju Ryu Karate in Westport. I entered various Westport Kata & Kumite competitions, but my best performance was getting 2nd place in Kumite at Christchurch Karate Champs in 2001. In 2003, I spent 4 months training with the Westport Kokyushin Karate Club. 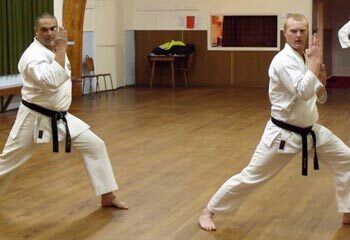 2004 saw me start training under Sensei Glen Morgan at Kawatiri Goju Ryu club in Westport. Under Sensei Glens guidance I achieved my Shodan in 2007. 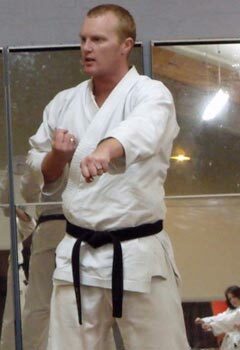 In 2013 I was graded to Ni dan by Sensei Hayden Wilmott at the annual Dan grading in Westport. In 2016 I relocated with my family to Renwick just outside Blenheim where I started the Renwick Goju Ryu karate club located at the gym I currently manage.